Cold Steel Perfect Balance Thrower - 13.5 In. Of Throwing Power! Spend hours throwing this Perfect Balance Thrower from Cold Steel! The center of balance is at the midpoint for accuracy and precision that you won't find in other throwers. 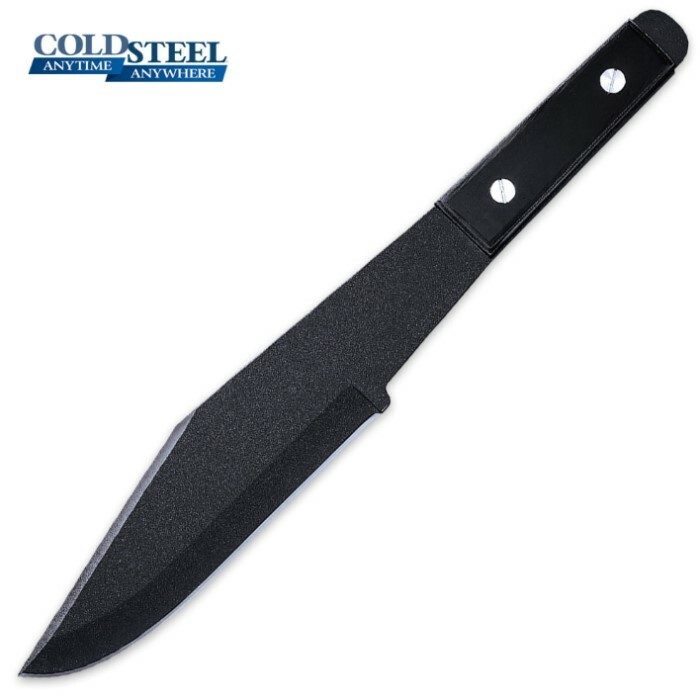 The fully sharpened clip point blade is constructed of 1055 Carbon Steel with a black rust-resistant finish. The handle scales can be replaced so you can enjoy thousands of throws!